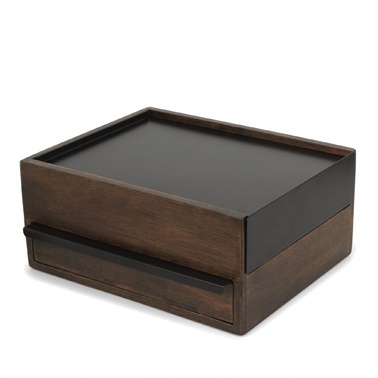 Umbra's Stowit feautures several drawers and compartments for an ultimate storage solution. Upper drawer has open storage and linen ring pillows. 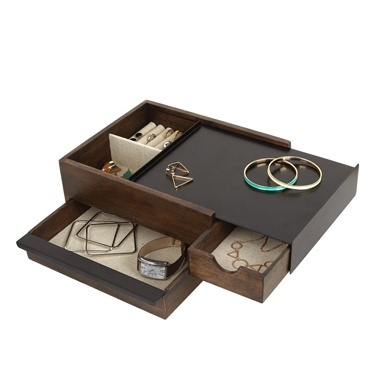 Lower drawer can store larger necklacs and bracelets.